People spend lots of money on enzyme cleaners like Nature’s Miracle but did you know that you can make your own enzyme cleaner at home using all natural products? Enzyme cleaners are the best way to clean any pet stains: Pee, poop, vomit, drool…anything that comes out of your dog or cat’s body basically. You’ll need a large jug or bottle to make your enzyme cleaner in. An old empty 2 liter soda bottle is perfect. Keep the cap loose to let gas escape – you don’t want it to explode! Check the top every day and make sure it’s loose enough for gas to escape. You’re going to want to let it sit for 2 weeks. 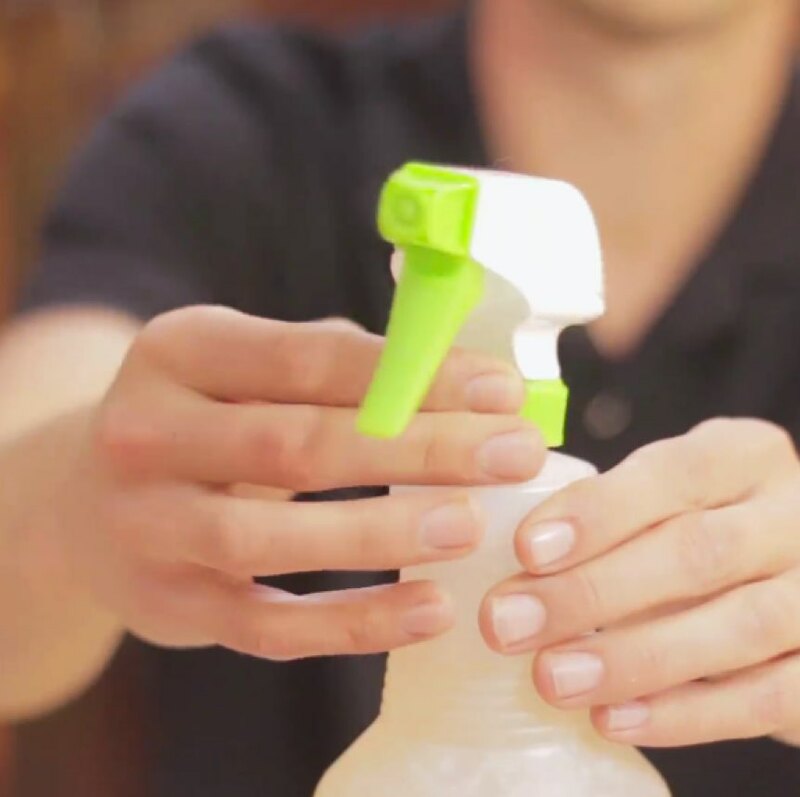 After 2 weeks you create your cleaner by mixing 1/2 Cup enzyme cleaner to 1 liter of water – Pour this into a spray bottle. Be sure to label the bottle so you know what is in it. We always recommend testing any product on a small area of your rug, floor or the item you want to clean to be safe. Once you’ve tested it then use it to clean any areas where your dog or cat has peed, pooped or vomited. First clean up any solid pieces. Then use a rag or towel to absorb any moisture in the area. Saturate the area with enzyme cleaner and then blot dry with a clean towel or rag.